A wrestling podcast brought to you by Alacon Howse. Explícito The NXT Reviews are BACK! Velveteen Dream defends against Buddy Murphy, Dijakovic doing a white nationalist gimmick? Undisputed ERA drama! Explícito Howse Meeting Q/A; Discussing Fickle Fans; Who Could Dethrone Rollins;Sharon Corbin?!?!?!?! ; Is Sasha Banks Entitled? 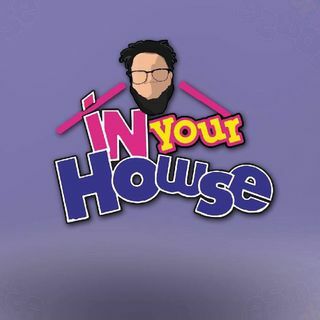 Explícito In Your Howse; AEW: A T-Shirt Company No Longer? Explícito In Your Howse w/ guest Fred Feltner; Why is the Kofi Kingston title victory so important?